Blue Mountain Biodynamic Farms a highly diversified, mixed farm consisting of 160 acres of prairie/aspen parkland in the low foothills of the Rocky Mountains, about 75 km NW of Calgary, Alberta, Canada. 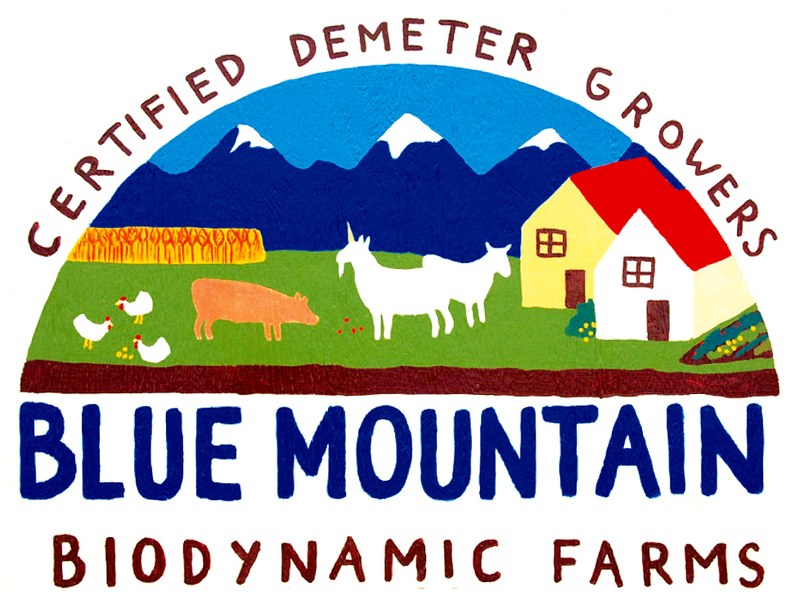 Blue Mountain is owned and operated by Kris and Tamara Vester. The farm's 110 cultivated acres produce cereal, legume and forage crops, vegetables and culinary herbs, in addition to raising poultry and hogs. 35 acres are maintained as native grassland/pasture. Products are sold directly to consumers through a CSA (Community Supported Agriculture) program and are also available through various retail stores, home delivery services and select restaurants in the Calgary, Edmonton, Airdrie and Canmore area.